We are all connected, and everything is connected to us. This is a scientific fact. We live in a world made up of atoms and molecules. We are made up from these same base elements. It’s the configuration of these atoms that makes the different structures around. The reality we see. We’re all energy. Every nanosecond energy is being transferred within our bodies, from the synapses that spark in our brain to the electrical charges in our heart that keeps our blood flowing, our bodies are constantly generating energy. Even before we interact with anything or anyone, if we stand stock still, we’re a powerhouse of energy. Our brains can generate enough energy to power a light bulb, and the heat energy within our cells, generated by the metabolism of sugar to energy during the process of cellular respiration, flows out of our bodies into the air, and is around 100W. When we move, we create kinetic energy, the energy created by movement. That could even be internal movement, such as blood flow, or getting up to walk. This is perhaps quite obvious, but maybe when I say, personality, disposition and attitude to life are also defined by the energy within us, this may be more revealing. For example, some people are almost naturally negative, they play the pessimist and always see the cup half empty. Interacting with these types of people can be a draining and uninspiring experience. How often have you come out of a meeting feeling like the energy has been sucked out of you? Well it has. Being negative is easier than being positive. It takes energy to keep positivity going, and some of us are too lazy to try. Playing the Devil’s Advocate, looking at things that can’t be done and finding obstacles in a plan, and most of all, failing to challenge the status quo, are much easier to achieve. Whereas, there are people who are effervescent and bubbling, and they are often referred to as ‘energetic’. These types of people are transferring energies to others and are full of positive energy themselves. After interacting with positive people we become energised ourselves. Their positive charge rubs off on us. But is this what is really happening? When we eat food, we generate energy, but do we all generate the same energy? The answer to this question can easily be seen when two people eat the same food, one person is alert, vibrant and creative, whereas the other person may be depressed, unhappy and stuck in a rut. Notwithstanding, these two people may have different situations in life and come from different backgrounds, they still have energies that are generating very different dispositions and personalities. Is this really the energy as we understand it, energy produced by cell respiration or is this a more subtle level of energy (D Chopra 2009), a level where moods, emotions, aspirations and beliefs exist. So where does this positive and negative energy originate from? Could it be from the vibrations we all experience? Scientists seem to think so. Science has shown that everything we can examine contains an energy of vibration. All these vibrations co-exist at the same time. It is to this vibration that everything and every person is connected, whether we are aware of it or not. This however doesn’t answer why some people have a positive vibe, and others a negative one. That’s all down to a question of balance. And the different frequencies of vibration that we have which manifest dark or light energies. These frequencies of vibration determine how we act, view life and interact with reality around us. It’s not just people who have these vibrations, everything does. Plants, animals, even inanimate objects. 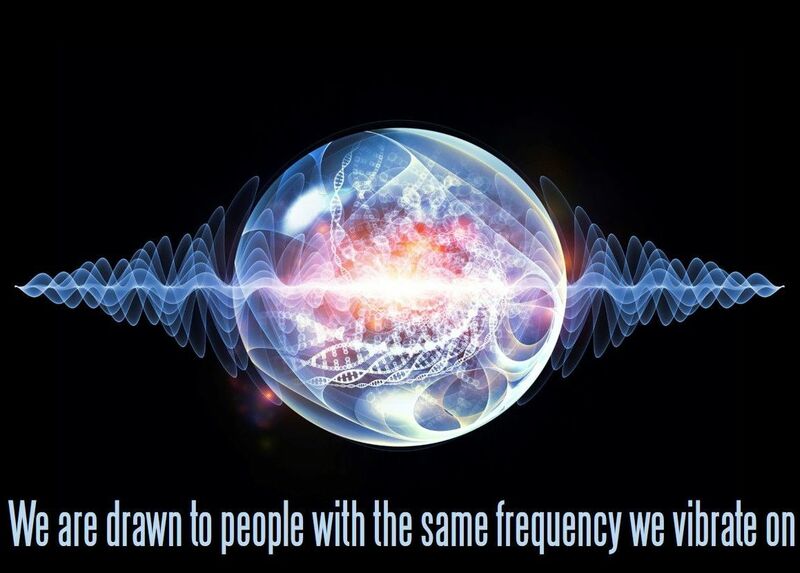 We are drawn to people with the same frequency range that we vibrate on. We talk about the ‘chemistry being right’ or ‘we’re on the same page’, but really what we should be saying is ‘we’re both tuned-in to the same frequency of vibration’. How often have you picked up something in a shop, or gone to view a new house and said, ‘it feels right’? It means the vibrations being given off align with the frequency of your energy vibrations. There is a natural fit. These vibrations are not static; they change as we all go through life, have different experiences, learn and interact with different things, and as such they become higher or lower in frequency. In my books, I introduce the idea of a realm called Kudamun, with beings called the Kudamaz, who watch and count every act, and monitor the vibrational dark and light energies the planet has, making sure we keep within a universal equilibrium. However, things go very wrong when the super-terrorist collective Al Nadir create mayhem and destruction initiating a severe Balance Shift to the dark energy side. Only fearless MI6 agent Sam Noor, with his mysterious wife Ellie can stand up against the intransigent evil that threatens to engulf the world.